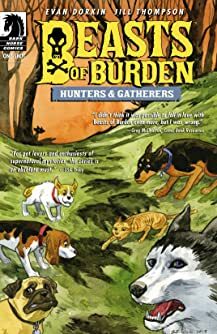 Welcome to Burden Hill , a picturesque little town adorned with white picket fences and green, green grass, home to a unique team of paranormal investigators. 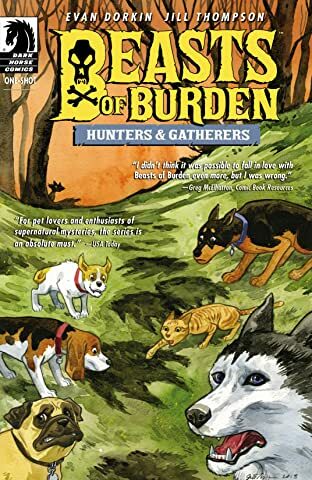 Beneath this shiny exterior, Burden Hill harbors dark and sinister secrets, and it's up to a heroic gang of dogs , and one cat , to protect the town from the evil forces at work. These are the Beasts of Burden Hill , Pugs, Ace, Jack, Whitey, Red and the Orphan , whose early experiences with the paranormal (including a haunted doghouse, a witches' coven, and a pack of canine zombies) have led them to become members of the Wise Dog Society, official animal agents sworn to protect their town from evil. 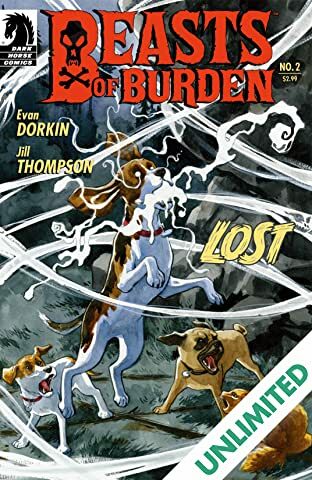 This turns out to be no easy task, as they soon encounter demonic cannibal frogs, tortured spirits, a secret rat society, and a bizarre and deadly resurrection in the Burden Hill cemetery , events which lead to fear and heartbreak as our four-legged heroes discover that the evil within Burden Hill is growing and on the move. 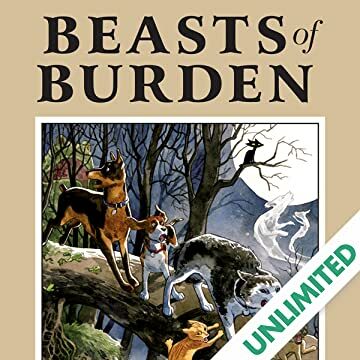 Can our heroes overcome these supernatural menaces? Can evil be bested by a paranormal team that doesn't have hands? 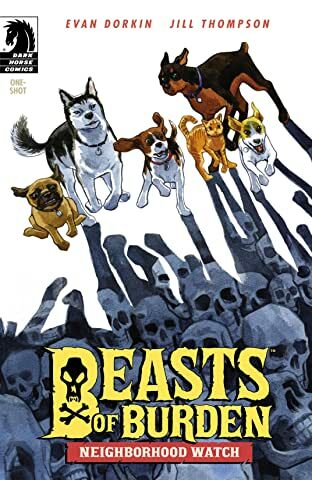 And even more importantly, will Pugs ever shut the hell up? 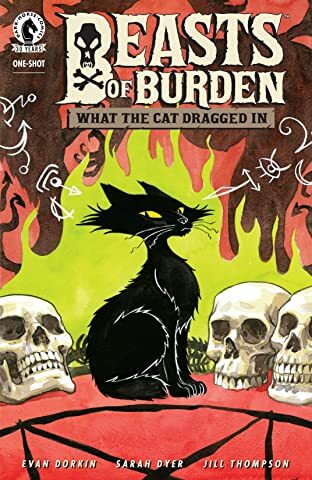 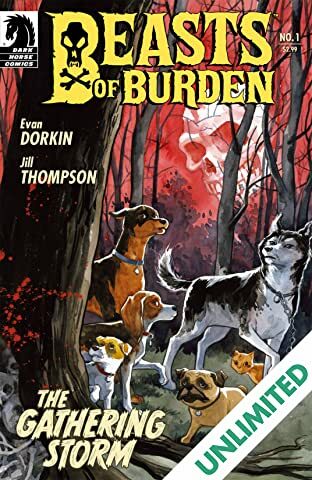 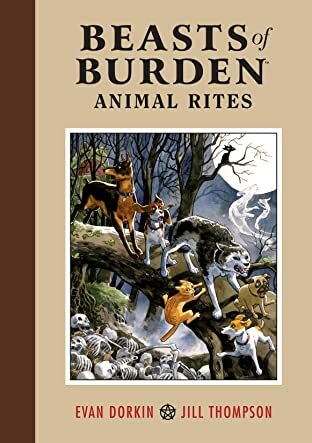 Adventure, mystery, horror, and humor thrive on every page of Beasts of Burden , a comic-book series that will capture readers' hearts and haunt their dreams. 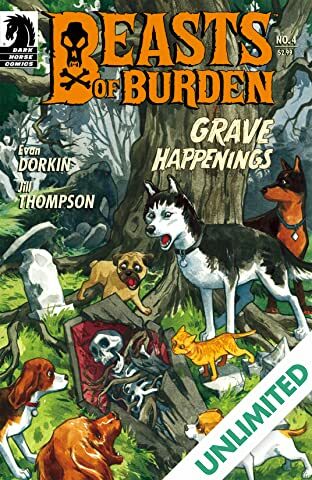 Award-winning comics creators Evan Dorkin (Milk and Cheese) and Jill Thompson (Scary Godmother) first introduced these very special investigators in The Dark Horse Book of Hauntings and the other Dark Horse Book of . 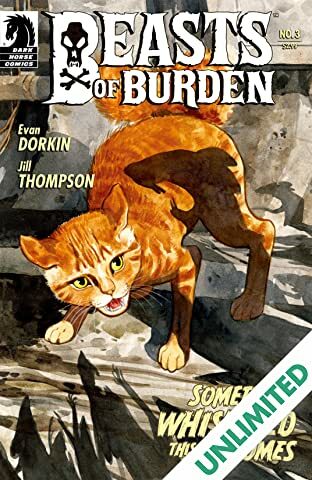 . . anthologies, for which they won coveted Eisner Awards for Best Short Story and Best Painter. 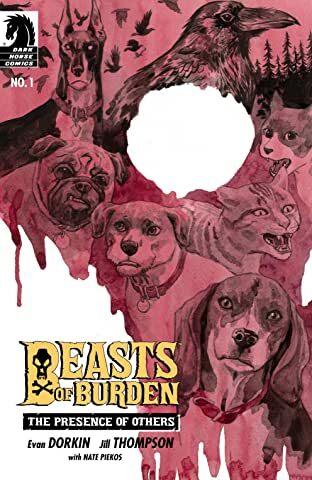 Those first tales are collected here, along with the comic series Beasts of Burden issues #1-#4.